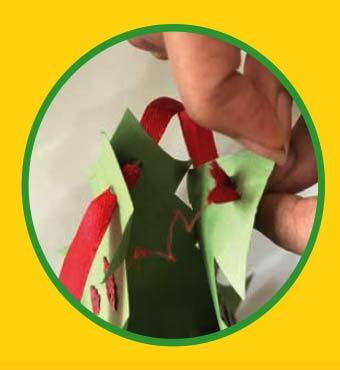 Green paper, a pencil, a pair of scissors, glue, ribbon and red decorative leaves. 1. 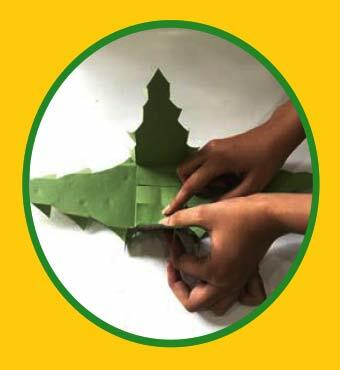 Fold the green paper into half. 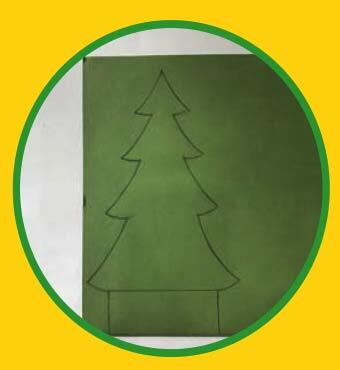 Draw a Christmas tree with a base as shown in the picture. Cut it out. 2. Take another sheet of green paper. 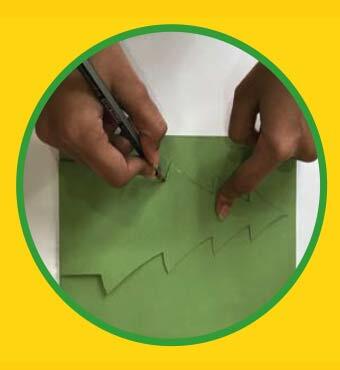 Place the cutout on it, trace its outline and cut it. 3. 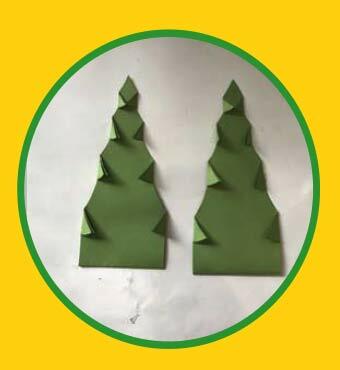 Fold the edges of the Christmas tree cutouts as shown. 4. Cut the edges of one of the cutouts and stick it onto the other. 5. Make holes at the top of the Christmas tree. Put a ribbon through this hole. 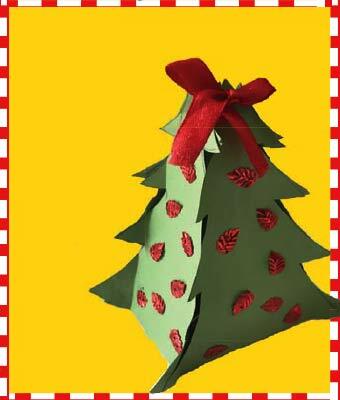 Your Christmas tree gift-box is ready!